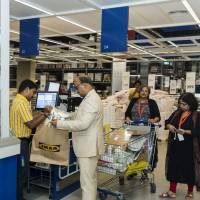 But while every branch of the world’s largest furniture retailer has that most unmistakable whiff of flat-pack conformity, regional differences do exist — not least where their famed Swedish meatballs are concerned. In many countries, including Japan, the Ikea business model has been subtly tweaked to fit local preferences and customs. Opening hours are altered, menu options are adjusted and very occasionally, women are airbrushed out of catalogs. It’s not the first time the retail giant’s best-known meal has got mixed up in religion. In 2013, traces of horse meat were discovered in batches from a Swedish supplier, forcing Ikea to release statements in Malaysia and United Arab Emirates reassuring customers that the pork-free “Swedish” meatballs in those countries were halal-certified (and not, in fact, produced in Sweden). Most often, menus are tweaked simply to appeal to regional tastes: Crayfish and “veggie balls” in Japan, fish and chips in the U.K., shawarma in Dubai. In a daring move that would pit popularity against convenience, Ikea’s menu may yet become available without a diner having to go anywhere near a stick of furniture: The company is reportedly considering opening standalone restaurants in the U.S., although “no decisions have been made,” according to a spokesperson. Unsurprisingly, the product lines in the catalog vary somewhat from country to country: The kitchenware section in India will feature spice boxes and idli (rice cake) makers, according to AFP, while its Chinese cousin goes heavy on woks, cleavers and steamers. Japan’s furniture lineup has been revamped to offer items that actually fit and perform well in Japan’s famously compact homes. In densely populated Hong Kong, where flats are typically small and streets are crowded, Ikea is a place to relax as well as shop. The soft-furnishing section is often crowded with local residents taking an air-conditioned break from the city, lounging around on the sofas. In the meantime, in mainland China, shoppers make themselves even more comfortable: It’s common to find people sleeping in the display beds and armchairs, a habit that isn’t tolerated so readily in other parts of the world. Limited space is an issue for the company itself in crowded European capitals like London, Stockholm and Madrid, where it’s opened small-scale stores of less than 1,000 sq. meters. That’s good news for the maze haters who can’t stand following the arrows around a typical big-box Ikea, which typically sprawls across 25,000 sq. meters. The local touches aren’t just in-store — they follow you home. Hong Kong deliveries are priced depending on the number of steps up to your apartment (perhaps not unreasonable in such a high-rise city). In the U.S. and U.K., you can have your self-assembly furniture built for you using TaskRabbit, an online service that matches freelance labor to one-off jobs, which was acquired by Ikea in 2017. In London, having your kitchen assembled could set you back anywhere between about £13 and £52 ($17 to $67) an hour. Meanwhile in Dubai, the local assembly service will charge you about 300 dirhams ($82) for the entire job. Does the thought of all this global mega-retail have you itching for a long evening browsing the modular storage systems? Head to Hyderabad. 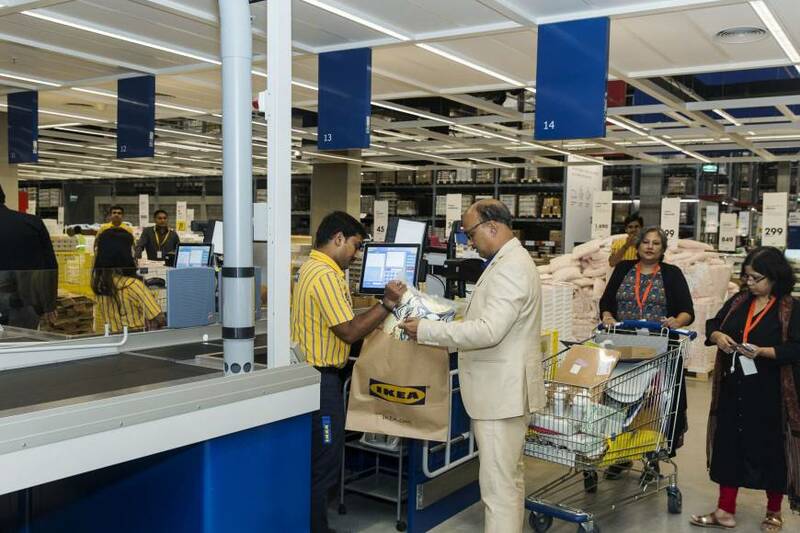 In a part of the world where many people’s day starts and ends late, Ikea’s newest branch will be open until 11 p.m. — a full three hours later than branches in the chain’s home country.